Ara, thanks for letting me participated in the good deed, ill do it together with my family. 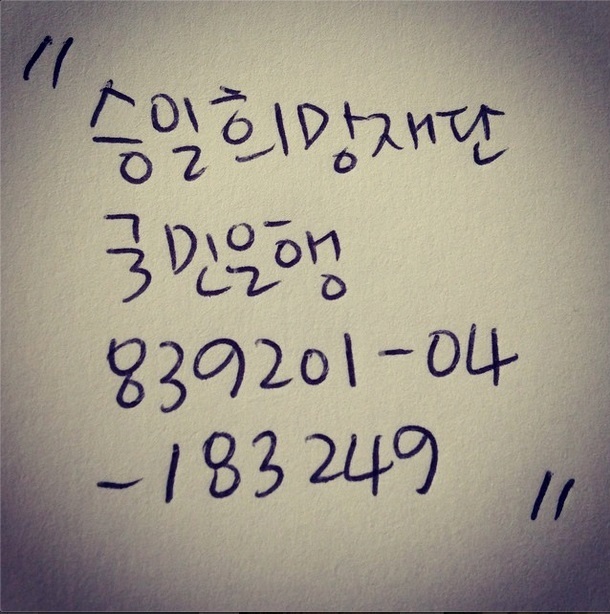 Shealso tagged along a handwrite letter of SeungIl Hope Foundation’s National Bank account number in the post. SeungIl Hope Foundation is a social association in Korea dealing with Lou Gehrig’s patient.